As today’s business grows additionally more complex and multifaceted, the increasing need for seamless office communication equipment and security solutions is proving to be more necessary and valuable than ever. With the huge influx of work and delivery systems integration in the workplace, Excel Telecommunication looks to help companies move up the value chain through improving efficiency by automation and hence drive value. Excel Telecommunication is one of the leading providers of fixed and wireless security & communication system with integrate, serving local and domestic operators and industries. As a company that believes in serving their clients needs, our expertise is very much aligned to the industry to help clients through focusing on where technological and security innovations can intersect today’s competitive organizations to drive performance. What is means is simple. We offer unique, relevant and results driven security and communication with that reflects on the experience and knowledge of our team. As such, our clients are assured only superior solutions and quality services with Excel Telecommunication. 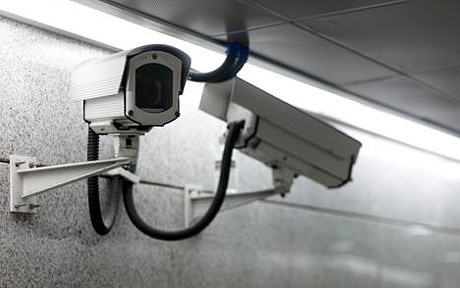 Today, Excel Telecommunication’s scope of services has expanded to include conventional & IP-based CCTV, Door Access with Management, PABX, Security Alarm System with CMS, Visitor Management System (VMS) and Electric Fencing with integration solution System. An apps is design to integrade a full range of security solutions state-of-the-art IT solutions to continuously aim to serve our clients better and drive value in today’s business. At Excel Telecommunication, our clients come first. We make it priority to build relationships with clients on a personal level in order to help us better meet their needs, whilst maintaining our professionalism. We work proactively for our clients to build trust and ultimately garner measurable results for our clients. Excel Telecommunications is committed to provide clients with relevant and effective solutions to satisfy client’s business needs and ultimately, enrich clients’ business. At Excel Telecommunication, our vision & mission, is to become the preferred provider of security and IT solutions for today’s competitive businesses.